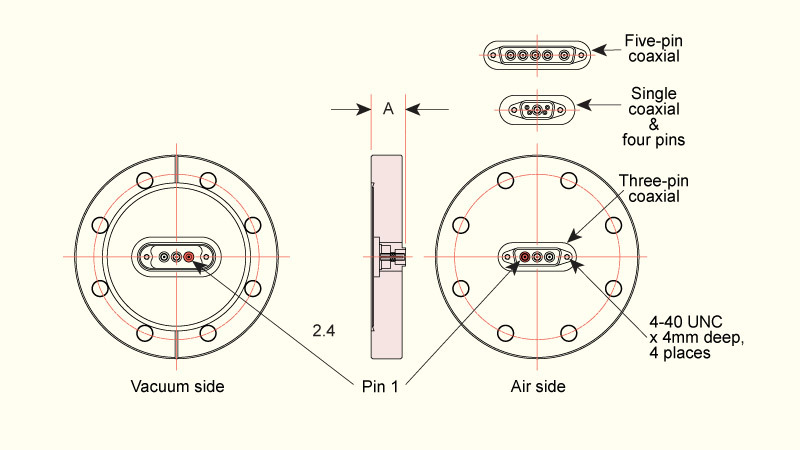 Coaxial hermetic subminiature D feedthroughs with coaxial pin and shield are available in 1, 3 and 5 pin configurations mounted on standard D9, D15 and D25 shell sizes, respectively. The coaxial shield floats with respect to ground providing a secondary electrical path. The single pin coaxial feedthrough also includes four non-shielded instrumentation pins for added connection capability. Gold plated pins and shields are in a straight through pin-to-pin design and are hermetically sealed and electrically insulated in a stainless steel shell using the latest in glass-ceramic bonding technology. 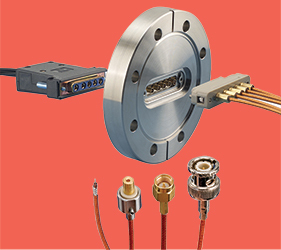 Ultrahigh vacuum cable assemblies with PEEK connectors and Kapton® insulated 50 Ohm coaxial cables are available to meet the demands of UHV environments. The connection accessories must be purchased separately. Vacuum side cable assemblies, individual connectors and other accessories are detailed overleaf. Custom subminiature D coaxial feedthrough products are available upon request. 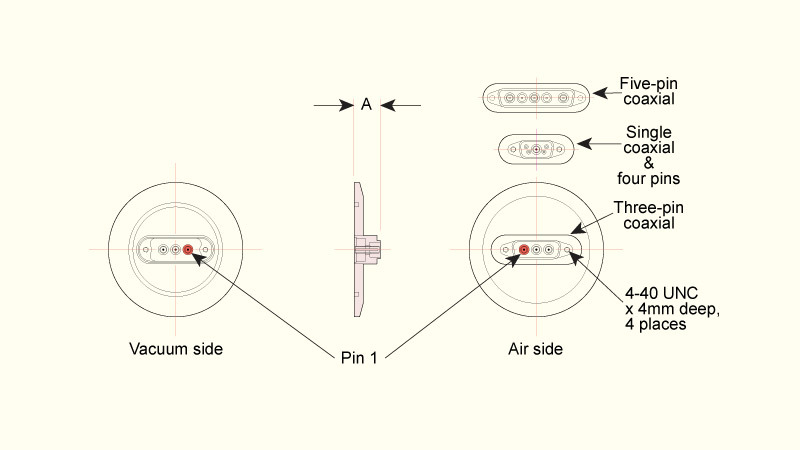 • 1, 3 & 5 pin configurations. • High temperature rated t0 250°C. • In vacuum connectors & cables available. • Air side connectors available.